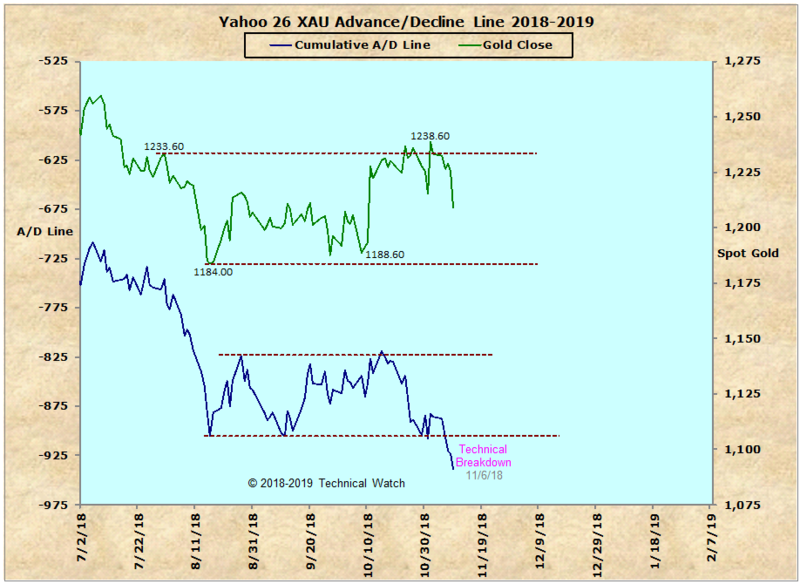 For those who may be wondering, this is the latest data on the XAU/Yahoo index with it's underlying cumulative breadth. 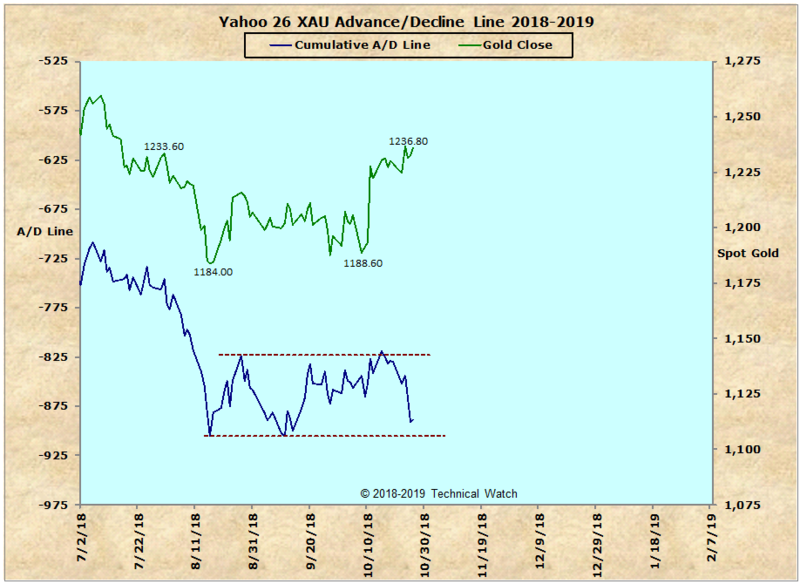 Looks as though we continue to be range bound...one of which the price gold now seems to be at the ceiling of its price range. At this point, there hasn't been any changes to the December window for the next tradable low in this sector that was posted back on August 10th. Keep in mind that much of performance in the metals is based on the direction of interest rates...so you want to see them go lower sooner than later for this December window to be workable. Thanks Fib. To be sure, no CLEAR signall this time right? Thanks Fib. To be sure, no CLEAR signal this time right? This asset class remains range bound, with a bearish bias, into the next cycle low. The next window of a tradable bottom remains sometime in December...likely towards the end of the month. Watch interest rates...if they continue to rise, this will maintain the downside bias into next year. Updated chart as of 11/9...self explanatory.